After finishing Owlboy and posting my review, someone reached out to me on Twitter and recommended I play Iconoclasts next. I had never heard of the game before and decided to look it up. When I saw the retro look to the game and the 2D platforming, I knew I had to play it immediately. While Iconoclasts is a mixed bag, it manages to tread some heavy themes and offer exciting boss fights in quite the adventure developed by Joakim Sandberg. 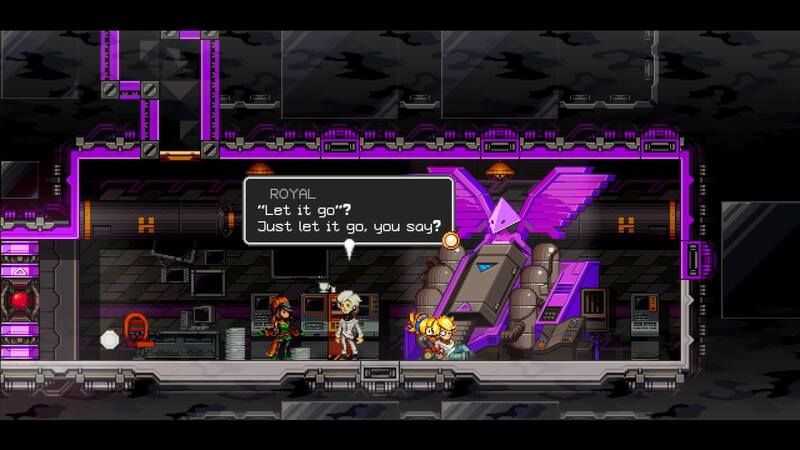 Iconoclasts follows Robin, a mechanic, who conducts her work in secret from the One Concern, a religious cult-like (dare I say terrorist) faction whose iron grip stifles the land. Through a run-in with the group, Robin is thrust into a quest to take down the One Concern and free her people from their oppressive grip. Along the way, Robin meets friends who have varying abilities that the game allows you to play as in different sections throughout the story. They each have their own flaws and fears to overcome, which lend a sense of humanity to the story. I found myself growing to care about the plights of characters like Mina and Royal. One Concern is led by the mysterious character known only as Mother. Their goal is to harness the material, Ivory, that is used to fuel just about everything in the world of Iconoclasts. It’s even used to give some members of One Concern special abilities. The first leader you go up against is a mixture of the Terminator and Cyclops from the X-Men. There’s more to this material than what appears. As the story continues, you learn more about the dysfunction within the organization and the volatile state of Ivory. Where the story falls apart, however, is when the game gets consumed with itself. The religious jargon of the cult group is often difficult to piece together what is what, or how certain things function within the group. I can tell what the developer was going for and the questions he was seeking to ask. While some of that did come through (questions pertaining to how religion is used, an individual’s responsibility to their community), and was great, the majority of it was too convoluted to follow at points. There’s a point where the story takes such a jarring turn that it reminded me of watching Neon Genesis Evangelion for the first time. That’s not a slight at all. It just took me completely off-guard and left me scratching my head as it injected a newfound mystery into the game’s already packed lore. 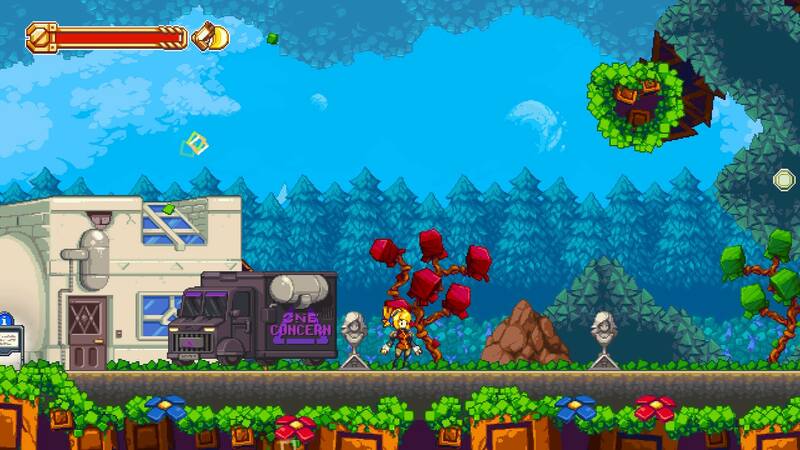 Iconoclasts is a 2D puzzle-platformer with some Metroidvania elements, akin to Ori & the Blind Forest. You’ll use Robin’s trusty wrench to open doors, power lifts, defeat enemies and deflect projectiles. Certain areas of the game will be closed off until you obtain a certain upgrade, hence the Metroidvania components. What’s refreshing about Iconoclasts is there are only two upgrades to the wrench. It’s liberating to play a Metroidvania that isn’t so convoluted in the amount of upgrades. This streamlined the back-tracking and combat to a point where I’m pining for future games in this genre to follow suit. The other characters you play as (Mina the pirate, Royal the ostracized prince-to-be, Elro the brother of Robin) come with their sets of abilities and play differently. Mina is a shotgun-wielding nomad that packs a punch, but cannot operate mechanical items like Robin. Robin’s brother, Elro, wields a devastating sword but moves incredibly slow. The diversity in the gameplay keeps things fresh to where the game never really feels stale in that regard. However, later in the game the platforming and puzzles grow to become as convoluted and confusing as the story itself, in parts. I recall one tower, specifically, that required an immense amount of trial-and-error and back-tracking that I found myself simply not having fun anymore. Now, to be fair, my experience in this tower, and the subsequent areas that followed, may not be the same for everyone. But I would be remiss if I didn’t discuss the boss fights. There are roughly 20 bosses in the game (if not more that I may have missed) that are all unique and challenging. I think this is where the game truly shined as each boss challenged you in a different way. From an underground worm with lightning-fast speed to a stealthy hunter, I was always thinking faster than my reflexes could manage. While the bosses will frustrate you, they never felt unfair in my experience. Whenever I would lose, I knew exactly what I did wrong. And the moment I bested a boss? Well, I’d put the satisfaction level up there with the likes of Dark Souls (though, thankfully, not near as unforgivingly difficult). Seriously, my hats off to Joakim for the boss design. Really well done! 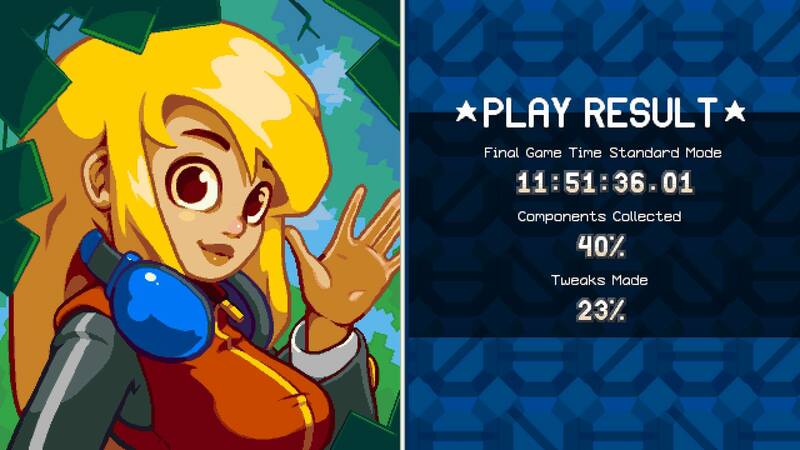 Iconoclasts is a fun game, overall. Despite how convoluted the story becomes, and considering how the end-game platforming oscillates from confusing to freaking awesome, it’s a great time, albeit not for everyone. In my near 12 hour play through, I’m sure I did not see everything. 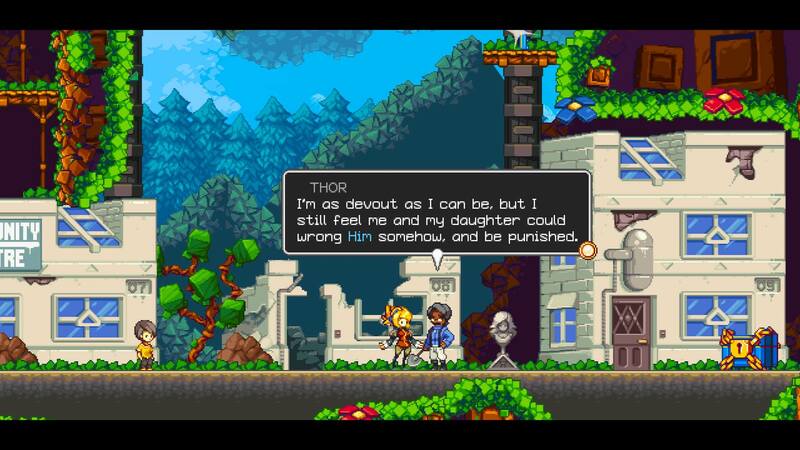 Once the game drops on the Switch (hopefully this year), I look forward to revisiting Iconoclasts with the new content. 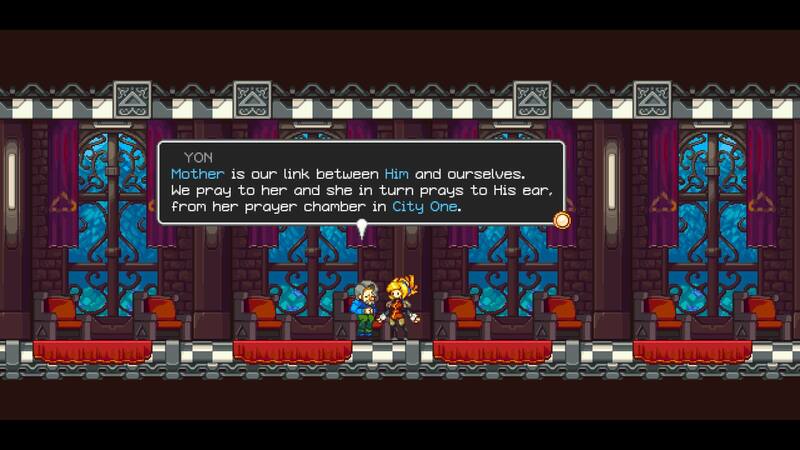 If you’re looking for a gorgeous retro-themed game with some incredible boss battles, Iconoclasts is the game for you. Iconoclasts released earlier this year on Xbox One, PS4, and PC. Iconoclasts is coming to the Nintendo Switch later this year with extra add-ons.